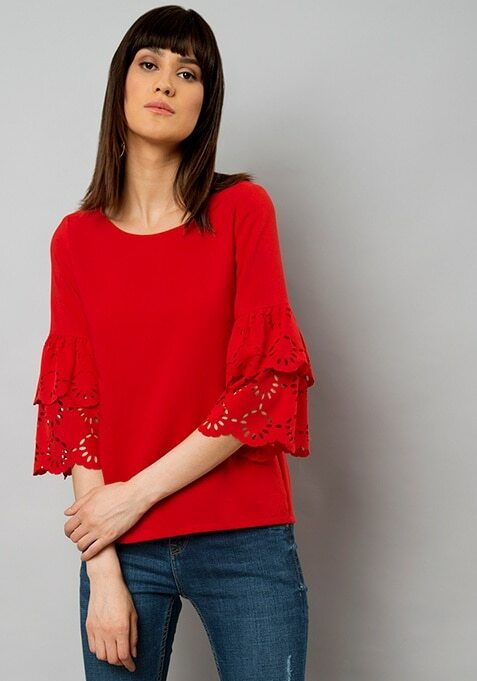 This red top is a summer essential for an effortless look. Features bell sleeves with laser cut details. Work It: Team this top with high waist jeans and smart sneakers.